Punyalan Agarbathis malayalam movie directed by Ranjith Shankar will have Jayasurya in lead. 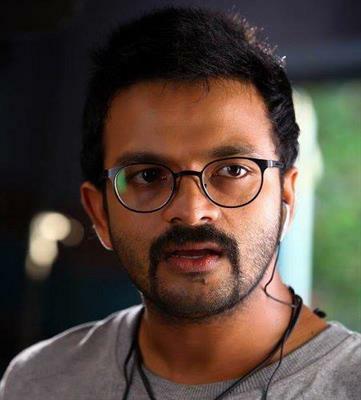 Touted as a comedy movie, Jayasurya will don the character role of Joy Thakkolkkaran. As per plans, Punyalan Agarbathis will start rolling on 17th August (Chingam 1st) at Thrissur. The rest of the cast and crew are expected to be announced very soon. Already publicized projects 'Sudhi Valmeekam' and 'May Flower' will begin only in 2014. Young film maker Ranjith Shankar is gearing up to start his new project. Titled 'Punyalan Agarbathis', the movie will have Jayasurya in lead. Produced jointly by Ranjith and Jayasurya, this movie creamed with humour will start rolling on 17th August (Chingam 1st) at Thrissur. 'Punyalan Agarbathis' is themed around the life of Joy Thakkolkkaran(Jayasurya), a young businessman settled in Thrissur. The rest of the cast and crew are expected to be announced very soon. Already publicized projects 'Sudhi Valmeekam' and 'May Flower' will begin only in 2014. Ranjith Sankar who made his entry with 'Passenger' can be credited to be the prime factor for bringing changes in the way of telling a tale. After working with television series Nizhalkal and American Dreams, Ranjith's 2009 release 'Passenger' did give rays of hope to budding filmmakers. His later movies Arjunan Sakshi and Molly Aunty Rocks got positive reports from theatres. Molly Aunty Rocks which starred Revathy and Prithviraj in lead was a critical and commercial success. 'Sudhi Valmeekam' which is being planned to start shooting next year tells the tale of a man 'Sudhi' whose tharavad name is Valmeekam while his life is filled with Love, friendship, struggles and happiness. Shot at Bengalaru, Kottayam and Thodupuzha, the movie will be two heroines while the other male lead played by a well-known male actor. Another project titled 'Mayflower' donned by Ranjith will have new faces in lead. Ranjith who got appreciation for his directorial debut 'Passenger', received a number of awards including best socially committed movie director (Dubai AMMA Awards), Best screenplay (Asianet Film Awards), Best Debut director (Surya TV Awards), and the first Lohithadas Puraskaram for best screenplay. Meanwhile actor Jayasurya is having a busy year shuttling from location to location. His upcoming ventures in 2013 include D Company, Thank You, Anchu Sundharikal, Thanal Tharaatha Marangal and 97 Batch Maharajas, and Kallan : Thaskaran Maniyan Pilayude Athmakadha.